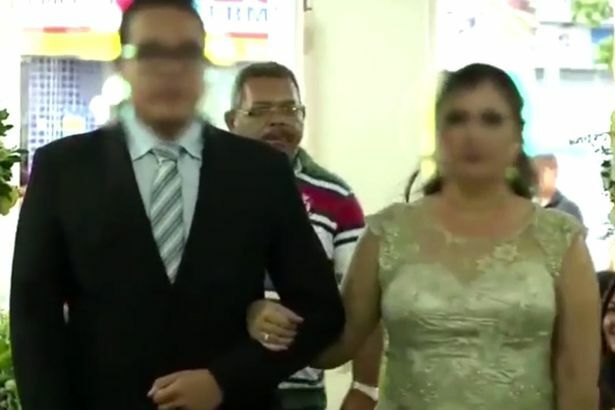 This horrific wedding footage shows the moment a man followed a bride down the aisle before pulling out a gun and shooting three wedding guests in the pews of a catholic church. 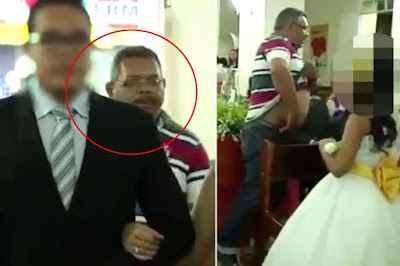 Bridesmaids, flower girls and shocked guests flee and start to scream as at least seven shots are fired before the ceremony started. The gunman dressed in jeans and a stripy polo shirt then walks nonchalantly out of the front doors. 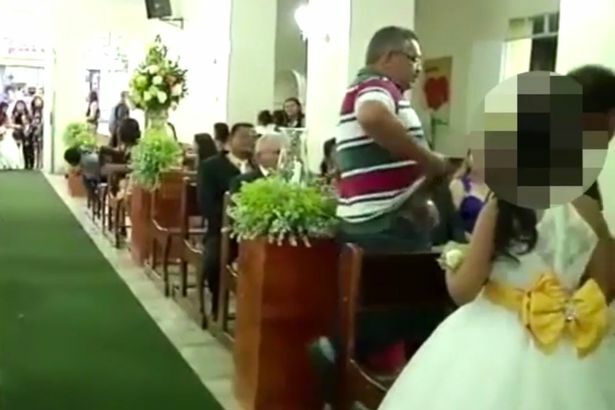 The shooting was recorded on video, which had been set up to record the happy occasion at the Church of Nossa Senhora da Conceição, in Limoeiro de Anadia, Brazil on Saturday. Reports in Brazil say three members of the same family were shot, 62-year-old Cicero Barbosa da Silva, his son Edmilson Bezerra da Silva, 37, and Edmilson's wife who was not named. All three victims were rushed to hospital. Both men needed surgery and remain in a critical but stable condition. The woman was treated for a superficial wound to her arm and later released. They also say the man shouted: "You hired people to kill my father" before he shot at the men. Police have named the suspect as Betinho, and believe the motivation for the shooting was revenge for the death of a family member where Edmilson was the main suspect. Betinho is currently wanted by police.